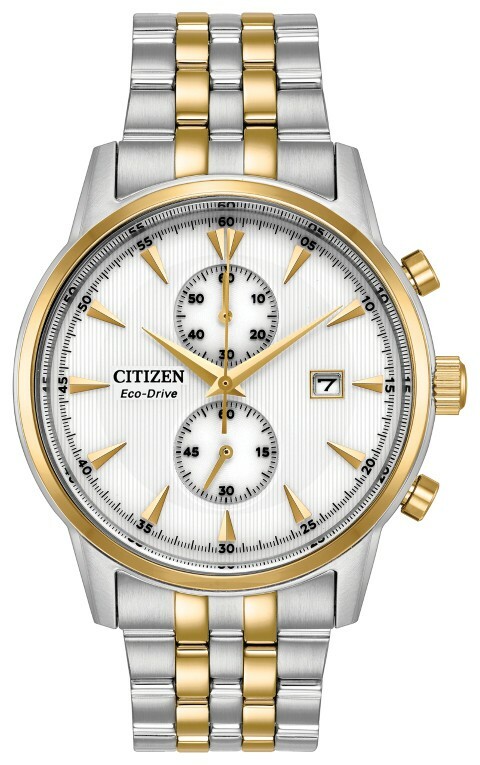 THE CITIZEN CORSO COLLECTION, A COMBINATION OF FUNCTIONAL SIMPLICITY WITH A TOUCH OF TIMELESS ELEGANCE IS POWERED BY ANY LIGHT WITH ECO-DRIVE TECHNOLOGY. 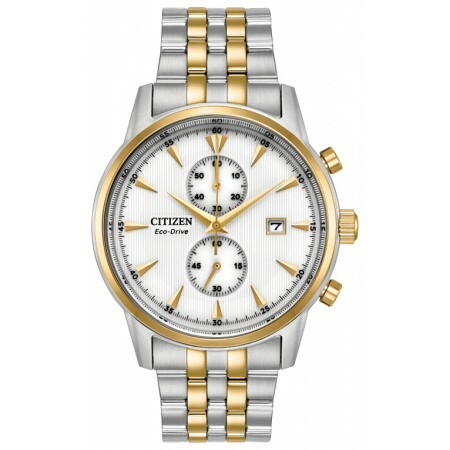 THIS MODEL FEATURES A TWO-TONE STAINLESS STEEL CASE AND BRACELET WITH CLASSIC WHITE DIAL. 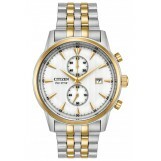 ADDITIONALLY A 1/5-SECOND CHRONOGRAPH AND DATE.